From the Ultima series to Epic Mickey, Warren Spector has had a long, impressive career, but let's be honest: this award is all about Deus Ex. 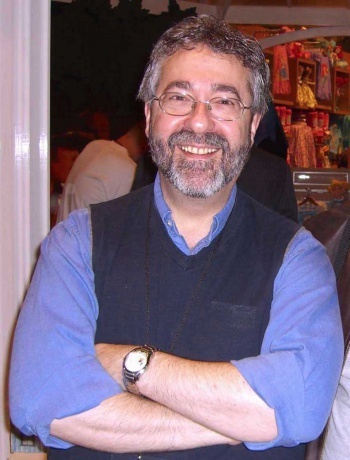 With a career in games spanning nearly 30 years, Warren Spector has earned a reputation in the industry as a seminal designer and a champion for the proper execution of ideas in video games. His work on the career-defining Deus Ex took place while he was serving as a partner at development company Ion Storm and running their Austin-based office. Upon its release in 2000, Deus Ex received wide critical and industry acclaim and in 2009 was named "Best PC Game of All Time" among a list of 100 other titles in PC Gamer magazine. In 2004 Spector left Ion Storm and the following year established Austin-based video game development firm Junction Point. Junction Point was acquired by Disney Interactive Studios in 2007. Immediately following, Spector began leading the design of Disney Epic Mickey, which released in 2010 and marked his first title as part of Disney Interactive Studios. The game featured Spector's hallmark style of choice and consequence gaming, which he refers to as "Playstyle Matters," and was praised for its unique storyline, charming art design and tribute it paid to 80 years of rich Disney history. Since beginning his gaming career at Steve Jackson Games in 1983, Spector has played a key role when it comes to redefining genres. As a producer and designer on titles like TSR, Inc.'s Top Secret/S.I. and Marvel Super Heroes, ORIGIN's award-winning Ultima game series, including Ultima Worlds of Adventure: Martian Dreams, Ultima VII: Serpent Isle and Ultima Underworld, as well as Looking Glass Technologies' critically-acclaimed System Shock, Spector demonstrated his ability to open up new avenues in the role-playing arena and provide players with a fresh gameplay experience. Also, in completely unrelated, weird, yet pretty cool news, apparently Mr. Spector wrote a wrote a six-issue series for BOOM! Studios' Ducktales comic in 2011, the finale of which was a crossover with the company's Darkwing Duck book. But, getting back on track, the key point you should take from all of this is that Warren Spector was one of the driving forces behind the brilliant, groundbreaking Deus Ex. In an era dominated by Unreal Tournament, Deus Ex proved that gamers craved a more intelligent, story-driven shooter, and it subsequently paved the way for titles like BioShock and, of course, the recent Deus Ex: Human Revolution. If it wasn't for Spector's work gamers might still be mindlessly taking potshots at enemies with rocket launchers, instead of assessing their surroundings and opting for a more restrained, cerebral option (read: using bionic super-strength to crush guards to death with a refrigerator). Thanks for that Mr. Spector.